Start Now and You Won't Regret It! With this post, we are officially launching the Ed100 Chapter of the Month Program, our biggest effort yet to help PTA leaders and PTO leaders make a lasting difference in their schools and districts. To easily earn your Ed100 Certificate this school year, start now! I'm excited and also a little nervous. We've been working like mad all summer to get ready for this moment. I hope you'll like it. I think you will. PTA boards that begin using the Chapter of the Month Program right away will be on schedule to accomplish something very cool this school year. The idea is simple: at each monthly board meeting set aside 15 minutes to help your board learn more about important education issues. This will give them the information they need to help improve your schools. What's in Ed100 Chapter 1? Chapter 1 sets the stage. Why do we even have a public education system, for example? (That's the topic of Lesson 1.8.) 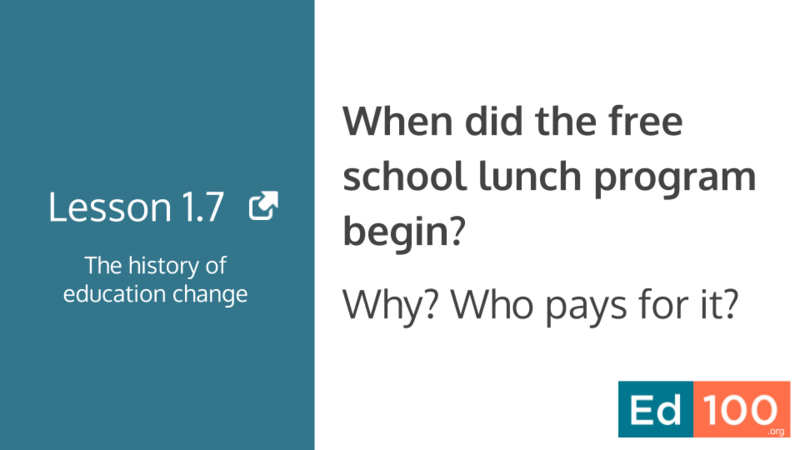 How did the education system get started, and how has it changed over time? (That's covered in Lesson 1.7). Ask your PTA board members to join you by signing up for Ed100.org. As you know, it's free (no catches) and available in English and Spanish. To sign up for Ed100 on a mobile device choose "Join | Login". On a computer click the orange "Start Learning" button. Each month we feature one chapter of Ed100 through email and social media. It's all scheduled. If you start Chapter 1 at the beginning of the school year, at a pace of one chapter per month you will earn your Ed100 Graduate Certificate by the end of the school year. 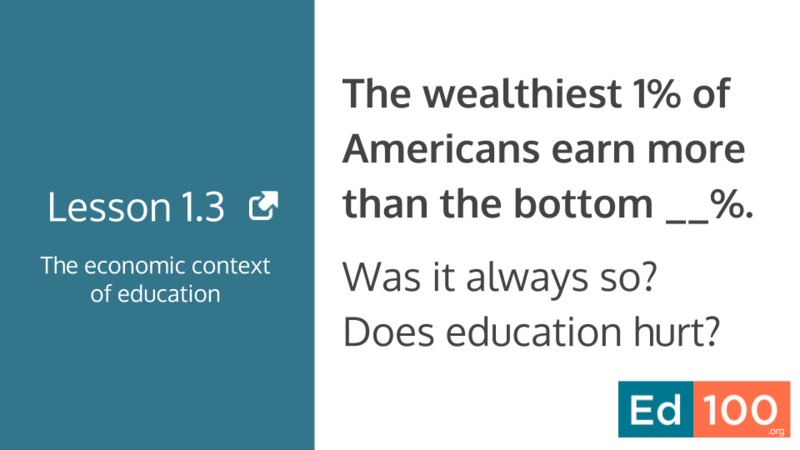 You will also know a lot more about California's education system than you do today. If you are NOT starting at the beginning of the school year, don't worry. You can set your own pace. Sign up for Ed100.org (free) if you haven't already. Select a school in your profile. Schedule and announce the time when your PTA board will discuss the Ed100 Chapter of the Month. As little as 15 minutes committed in the agenda of your monthly board meeting can make all the difference. Review Chapter 1 by watching the short video about it on the Ed100 Chapter of the Month playlist on YouTube. If you have internet access at your meeting location, this video can help bring everyone into the conversation (including those that didn't do the reading). 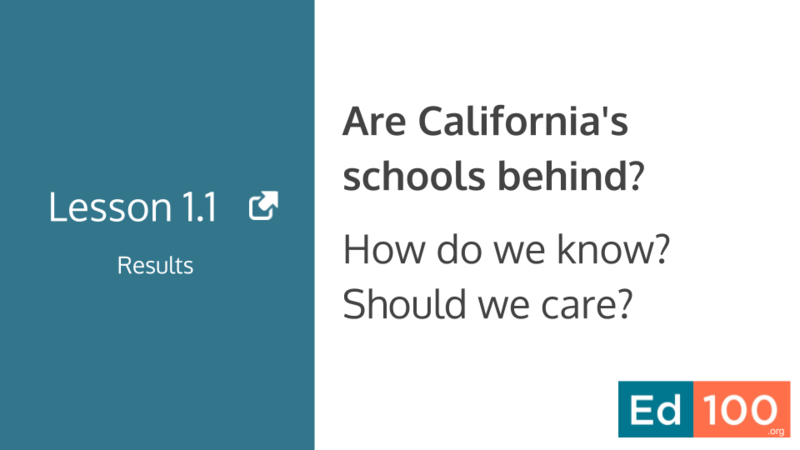 Use the Discussion Guide for Chapter 1 (in English and Spanish) to help talk through the implications for your school or district. If slides like these might be useful to you, visit the Ed100 Big Book of Questions, an ever-evolving public set of question slides for ALL of the lessons in Ed100. The slides don't give away the answers, but they tell you where to find them. How can we help you succeed with Ed100 in the coming school year? Drop me an email or leave a comment on this blog post! I'm jeffcamp@ed100.org.